I promised a full reveal of the sneaks you received this past week. Using the new stamp set called Uplifting Thoughts on my two creations. This will be a stamp set that everyone will want to have in their craft room. 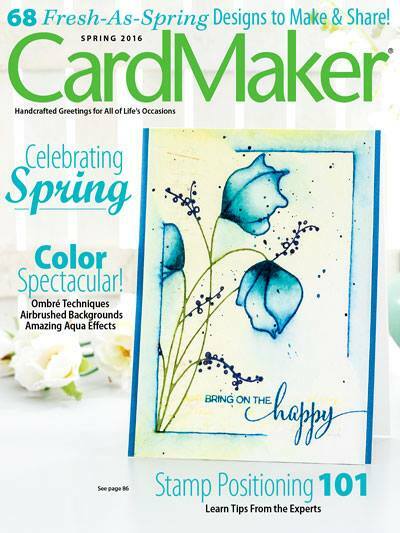 Great for cards, encouragement, kids, congratulations, page layouts...it has all of these possibilities and more! How stinkin' true is this sentiment?!? I try to do a Random Act of Kindness everyday...do you? 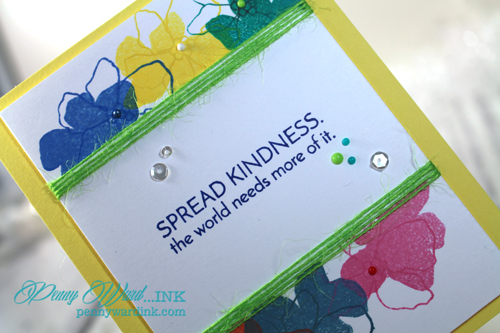 Masking off the center section of the card and stamping the Artful Flowers leaves a nice amount of clean space for this wonderful sentiment. Lime Burlap String was wrapped around the card above and below all that kindness. 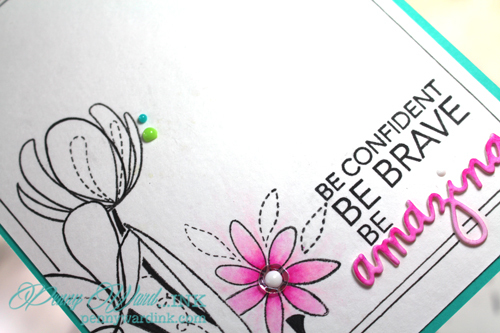 Simon Says Stamp: Uplifting Thoughts stamp set, You're Amazing die, Artful Flowers stamp set, Spring Flowers stamp set. Moonshine sequins. Beautiful, Beautiful cards - the first one absolutely took my breath away!! Well done on these! !